Marathon training can be difficult for professionals with commitments like weekly travel and 10+ hour work days. If you add family commitments that fill nights and weekends, it may seem that it’s nearly impossible to complete a 12-20 week marathon training plan. 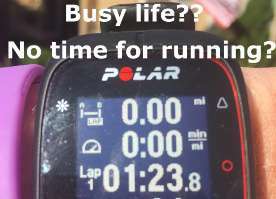 I would like to focus on my marathon training and coaching other runners full time, but the reality is that my day job in sales, pays the bills for now. My schedule is busy with frequent airline travel and late nights in the office. 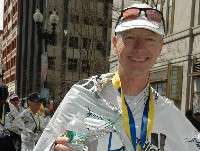 However, I have trained for and finished the last 2 Boston Marathons (15+ minutes under my BQ in both races). To stay fit and prepare for upcoming races, I must incorporate my marathon training into my busy schedule (professional and personal). The secret to my success is planning my marathon training at the beginning of each week. 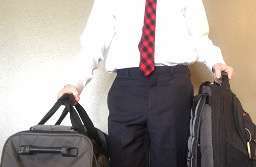 In this post, I reveal 5 tips any runner can use to stay in shape while on business travel. I will provide specific workouts that can easily be completed while traveling on business. Additionally, I will also provide details for one of my marathon training weeks that I used leading up to the 2014 Boston Marathon. 2. Plan your workouts – This is critical. Take a look at your schedule at least 2-3 days in advance and determine when you will have at least 45 minutes to workout. Don’t simply assume you’ll have time at some point in the day. If you’re not truly motivated, you’ll find an excuse somehow unless you a prior plan to workout at a certain time. Getting up early is often the best time to workout, however, ensure you get enough sleep otherwise you’ll feel run down during the day. I’ve also worked out in the hotel gym at 1000pm. 3. Seek to maintain your level of fitness– This should be your goal while traveling on business. Unless you have at least 90 minutes, you likely don’t have time for long runs. Also, it’s rare that you’ll have access to a running track. Knowing that you will have time for long runs or intervals when you get home, should help you to be content with a 30 – 45 minute workout or run to simply maintain your level of fitness. 4. Don’t fear the treadmill– I know a number of people that don’t run on treadmills because they think it’s too boring. These days, most hotel exercise rooms have a treadmill equipped with a TV. At a minimum, turn on your favorite station and start running for 30+ minutes. In order to add some variety and get more out of your treadmill workout, I recommend either of the following treadmill workouts. 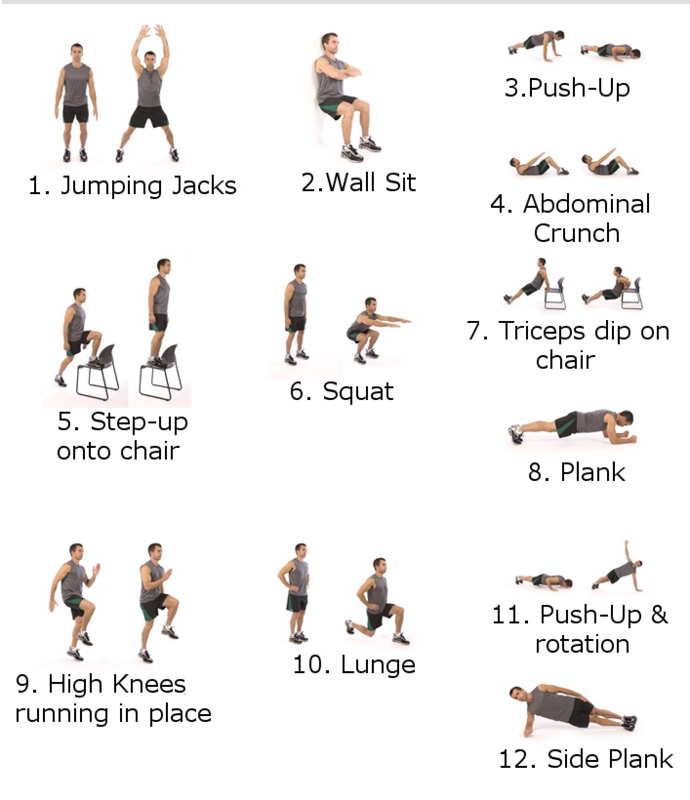 Both workouts can be completed in their entirety or modifed depending on your time constraints. 5. Be creative with your workouts – variety makes any workout more exciting. Use the elliptical for 10 minutes, then the bike and stairmaster or stairs, each for 10 minutes. 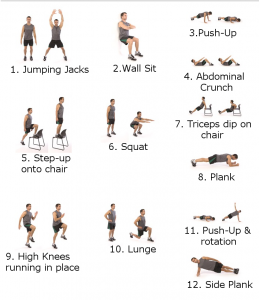 Follow these aerobic exercises with dumbbells, weights/weight machines and body weight exercises. In order to stay on pace with my marathon training plan, my track work/intervals and long runs are completed at home when I’m not traveling. My day off/rest day is always one of my travel days. Outside Running Workouts – Fartlek, repeat hills, stairs (inside your hotel), tempo runs of 4-6 miles, runs at elevation (get out for a run when you’re in Denver, Salt Lake City or Albuquerque (all at 4,000ft+)) and strides (complete on side street without much traffic near your hotel). If you’re following a marathon training plan, you need to push yourself 2-3 times per week on your runs when you can. Treadmill, elliptical and weights – treadmill runs for 30-40 minutes at varying speeds and inclines, elliptical for 30 minutes at 15+ incline, dumbbells & weight machines. Body weight or plyometric workouts – I either complete the plyometric workout outlined in this blog or I use the free iPhone app Workout Trainer. a) Treadmill for 4 miles – start at speed of 6 and elevation of 1 and gradually increase to 8 and elevation of 3.5.
a) Elliptical for 30 minutes – increasing intensity from 10 – 15+. Ensure you are really pushing yourself the last 5-7 minutes. b) Dumbbells – squats with 20lbs (1 x 20), lunges with 20lbs, arm curls with 30lbs (2 x 15), tricep curls with 30lbs (2 x 15), incline shoulder press with 25lbs (2 x 15), bench press with 30lb dumbbells (2 x 15). Your goal when using dumbbells during your marathon training is to get stronger, but not bulk up. This is why we avoid using weights that are too heavy. If you cannot complete all 15 or 20 reps, then decrease the weight being used.